Just because the temperatures drop doesn’t mean your handicap index needs to soar. 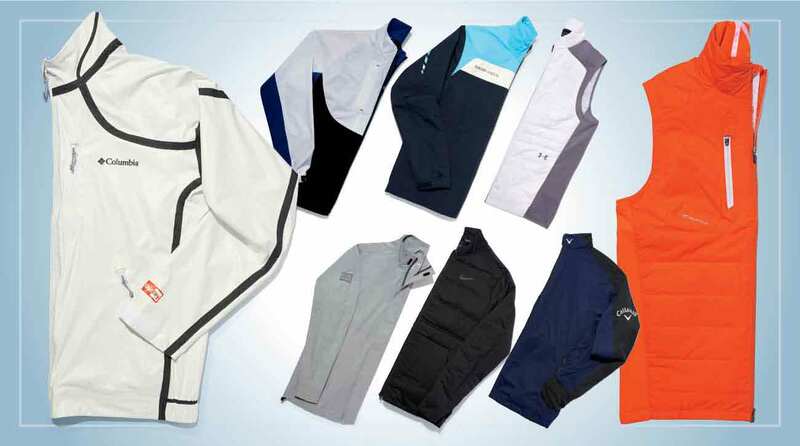 This innovative cold-weather golf gear will keep you feeling fine — even in foul weather. Remember when jackets used to hinder your swing? Not anymore. 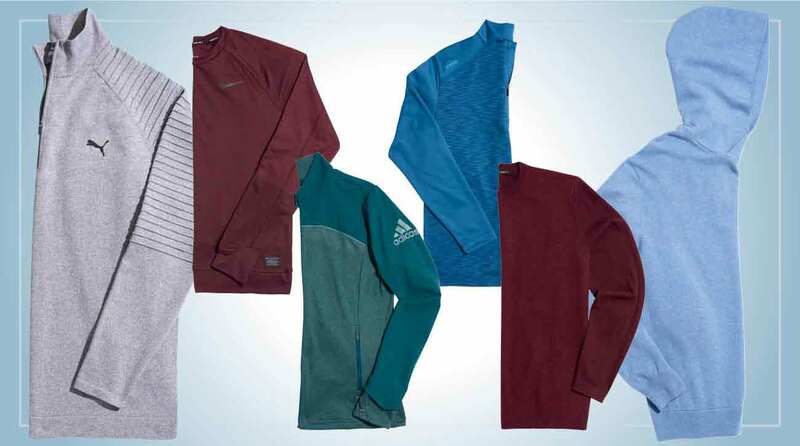 With today’s outerwear, flexibility and freedom of movement is a priority, and the use of light, breathable materials ensure warmth without the weight. Gone are the days when a bland, basic cotton pullover was your only option in cool weather. Today’s secondary layers are still soft but look sharp, boasting performance-enhancing features like seamless ventilation, water-resistant fabrics and even a special internal pocket for headphones. Does the winter season have you feeling blue? Good! Now is the time to let darkness reign. 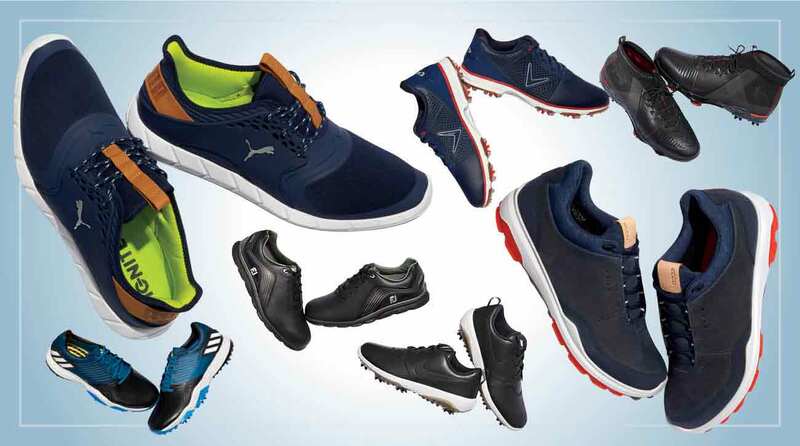 Wearing deep blue and black hues on your feet is the perfect accompaniment to a winter golf wardrobe. And with these slick options, you simply can’t go wrong. 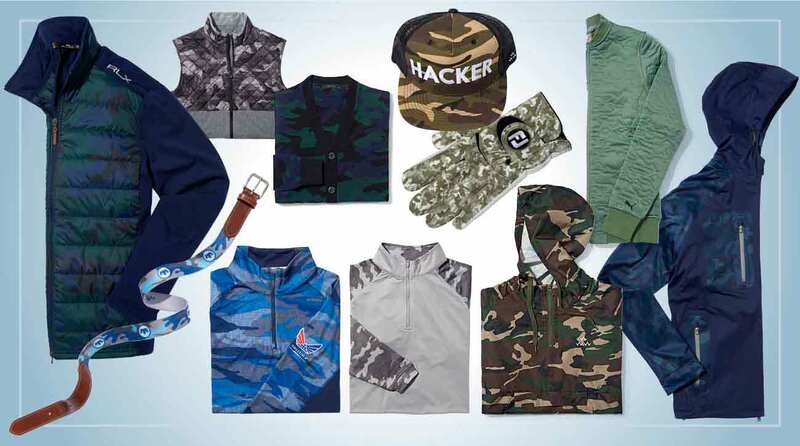 Camouflage is everywhere this season, so why not jump on the bandwagon with your golf apparel? Subtle options abound — hat, belt, glove — or you can go full-bore with a quarter zip or jacket. Either way, wearing camo shows you mean business — both on the course, and in the sartorial sense.